unbeatable value on electric and electronic cables, terminals and polyolefin shrink tubing we pay the freight! If you're looking for immediate shipment of the wire and cable that you need, you've come to the right place with Electric Wire and Cable Specialists. We've been in business since 1994 and it's our goal to get your products delivered in two to five business days, no matter how far away from our multiple fulfillment centers you are. Exactly What You Need: Best Quality Wire, Cable and Portable Cord – MADE in the USA! Whatever you need in the world of electric wire or cable, we can provide it. If you don’t see the specific cable you’re looking for, please email us. Specialty cables aren’t listed here on our site. We provide variable cord and cable lengths to give you the closest match to your specific needs. We offer FREE surface shipping toyour location from one of our seven fulfillment centers nationwide to arrive in two to five business days. Expedited shipping services are available and tracking details are available once your order has shipped. Your installation and construction projects have vital deadlines to hit. We know the importance of getting you your 600 volt welding cable, electronic security systems and alarm cables, marine grade UL approved cables & connectors or any other portable cord or copper building wire in a hurry, so you can get back to work. With so many different types of wiring out there, you need someone you can trust to get the job done and provide you with exactly what you need the first time. Trillium Wire and Cable is your source. 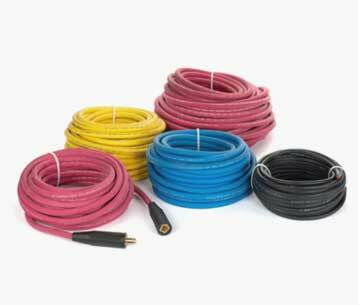 With so many different cable types available, you are sure to find what you are looking for. There are plenty of lengths and sizes of aluminum building wire, aluminum triplex and aluminum quadraplex available. You can also get instrumentation and electronic cables from fire alarm cables, security and alarm cables, industry equal electronic cables and more. Trillium Wire and Cable also has copper power and control cables, marine cables, welding cable and more. Copper power and control cable comes in solid and stranded bare copper, 600 volt building wire, 2000 volt flexible power cable, G-GC and Type W power cables and more. Marine cable includes 16-10 gauge UL approved marine primary wire, marine battery cable, power cables, adhesive lined shrink tubing and more. 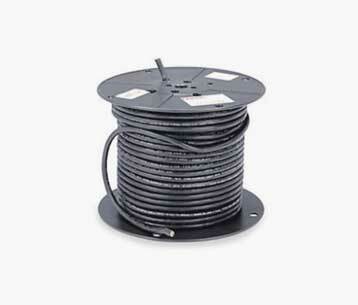 The cables and wire available from Trillium Wire and Cable is always high quality and built to last and perform. In business since 1994 and experts in all things wiring, we specialize in taking care of your wire and cable needs quickly and getting the right cable to you as soon as possible with immediate shipment. We usually fulfill orders within 24 hours and ship on business workdays. Our ultimate goal is for you to be satisfied with your purchase and happy with the delivery. Wire and cable can be cut specifically to your specifications and we are always ready to take special orders or large orders when you need it. Browse the wide selection of wire and cable types and feel free to reach out to us with any questions you may have regarding the products or your purchase. 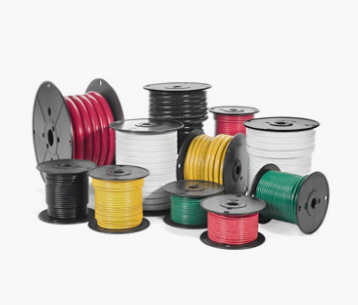 Our goal is to provide wire and cable at an affordable price and to provide quality customer service that is readily available so you get the help you need and the products you want. Send us an email at sales@ewcswire.com today, and get the fastest response times available to get your product to your doorstep within the week.